The provider of the world’s first wireless memory card for digital cameras, Eye-Fi has introduced its new wireless memory card designed to make photo sharing richer, easier and more convenient, named as Eye-Fi Explore, which can support automatic geotagging and hotspot connectivity, allowing users to upload photos from Wi-Fi hotspots while away from home, and automatically geotag their photos to remember where the pictures were captured, making it easy to organize and browse pictures through map-based interface. The well-known international brand name for Japanese electric products manufacturer Matsushita Electric Industrial, Panasonic has announced a new addition to its award-winning TZ-family of digital cameras – LUMIX DMC-TZ50, featuring 9.1 megapixel image sensor, Venus Engine IV, 3-inch LCD display, 28mm wide-angle LEICA lens, 10x optical zoom, 720p HD video recording function, Intelligent Auto Mode, built-in wireless LAN communications function (Wi-Fi) that complies with IEEE 802.11b/g standards, and access to T-Mobile HotSpot service. Once connected, the users can access Google’s Picasa Web Album right from the camera, without having to use a PC or mobile phone. Following the announcement of COOLPIX P80, Nikon has announced the new additions to its (Style) S-series family – COOLPIX S52 and COOLPIX S52c, featuring a same 9.0 effective megapixels image sensor, high-contrast 3-inch LCD display, 3x Zoom-Nikkor lens with Optical Vibration Reduction (VR) Image Stabilization, manual sensitivity settings up to ISO 3200 as well as Pictmotion function that allows users to combine their favorite movies, photos and create in-camera slide shows with music including songs uploaded from Apple iTunes. 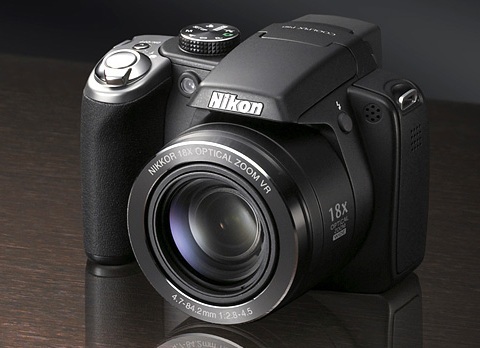 The well-known Japanese company specializing in optics and imaging, Nikon has announced the launch of its new COOLPIX P80, the high-performance digital camera featuring a 10.1 megapixel CCD image sensor with Nikon’s EXPEED digital imaging processing concept, 2.7-inch LCD display (230k pixels + electronic viewfinder) with anti-reflection coating and even an incredibly 18x optical Zoom-Nikkor lens.